If you’re looking for a vegan shepherd’s pie recipe you’ve come to the right place. This vegan shepherd’s pie is a perfect alternative to “traditional” Shepherd’s or Cottage pie, with a twist using lentils. The version I’m used to’s always had a glazed top which is usually done by using egg yolk, but I’ve kept it simple with a little Olive oil to go a long way. 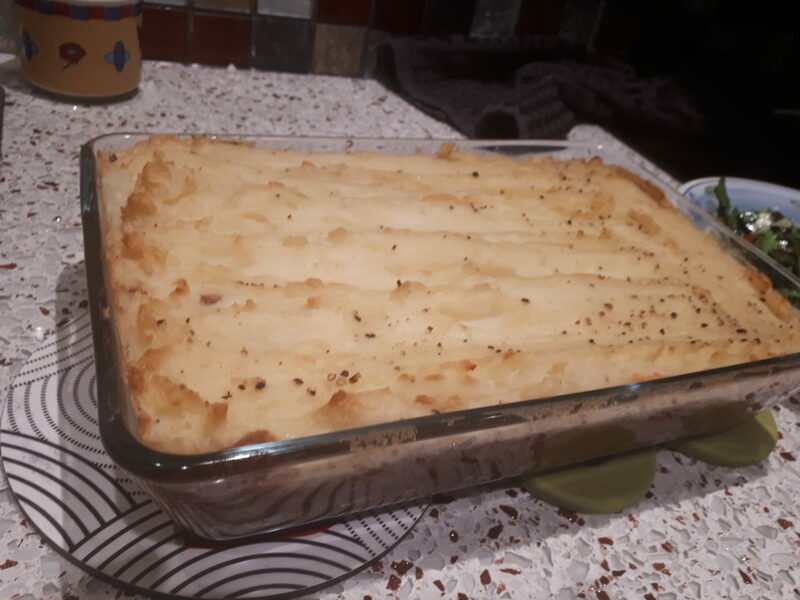 I’ve always liked Shepherd’s and Cottage pie, and only recently since becoming vegan I’ve learned that the only difference between the two is the meat: Beef or Lamb. This version used lentils as it’s main ingredient, Green lentils, so make sure you soak them first. When going vegan I never quite realised how I’d miss mince meat, among many other similar foods. Minced meat was a main ingredient for a lot of signature dishes that I’d say defines my adolescent life and childhood, from spaghetti bolognese to shepherd’s pie and lasagne. It was only after a while of cooking lentils that I developed a way of cooking them with a combination of a little potato and onion, with spices of course, that it actually tasted a lot better then the minced beef I used to love so much. My technique is when I soak my lentils, I add spices beforehand too so they’re infused with the water absorbed, as if I’m marinating them. I’ve played a bit with ingredients since becoming vegan and have been surprised in how many ingredients are so versatile. Green lentils are among many of my favourite ingredients that I feel are very versatile for a wide array of dishes. 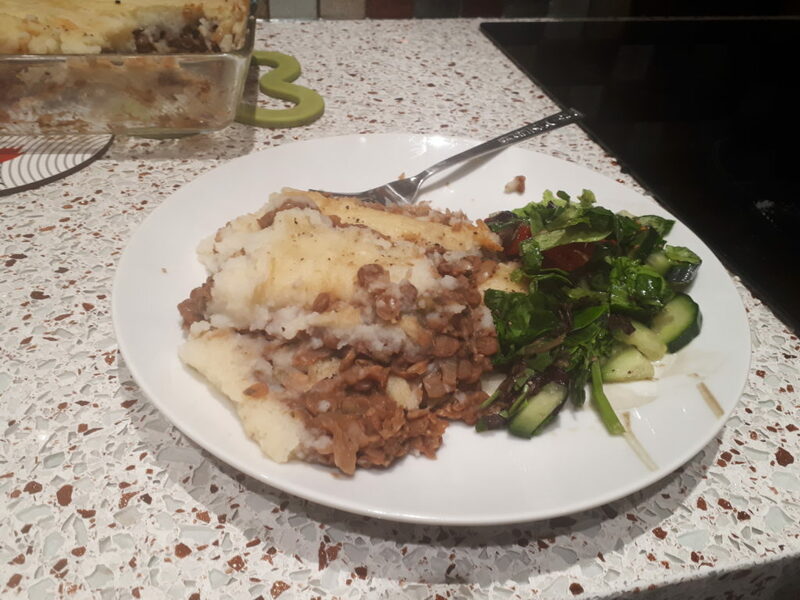 I’m not sure about others but even when I used to eat meat I always enjoyed pairing Shepherd’s Pie with a salad, usually a simple lettuce, cucumber, tomato and olive oil combo; must be the Mediterranean in me. This Lentil cottage pie recipe is one of my first attempts at capturing the feeling I used to love when sitting at that table on a Friday night with my sister and family. 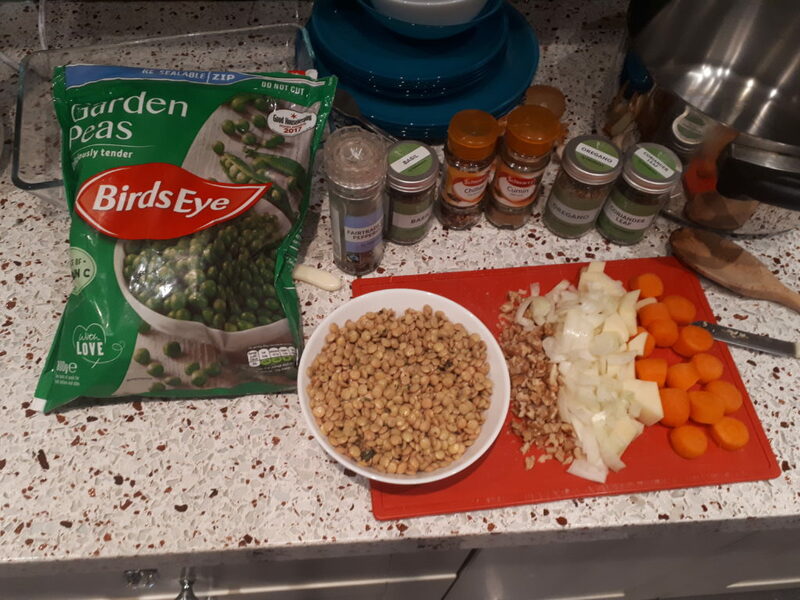 I’ve finally veganised it and this vegan Shepherd’s pie recipe is sure to impress guests and is also a nutrient-rich child friendly vegan meal. This vegan Shepherd’s pie recipe is soy free, nutrient-rich, and is also satisfying. A perfect example of a vegan Sunday roast which is also kid-friendly and of British inspiration. For those who don’t mind consuming Soy, personally I limit how much I eat. 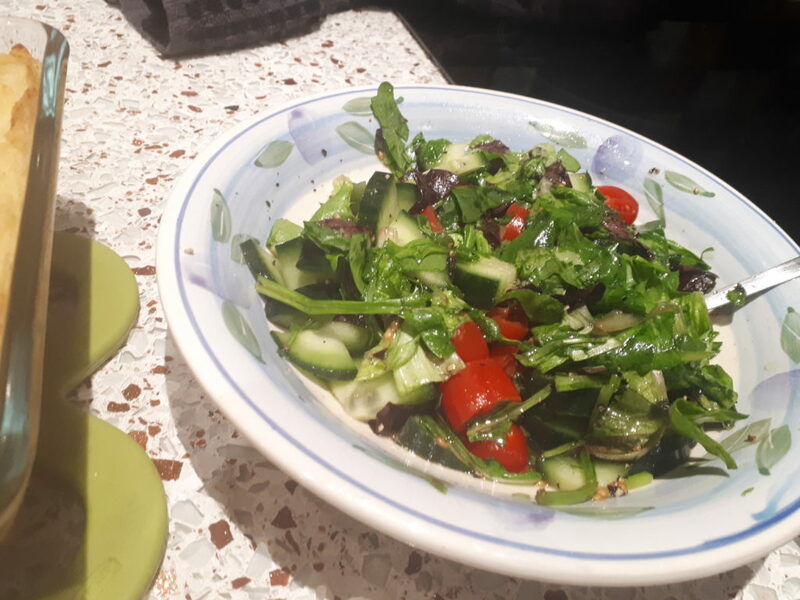 I will make a version with Soy protein for you to enjoy too, as I feel although it shouldn’t be consumed as much, whereas it does provide a texture rather similar to beef, or lamb, each to their own. This vegan Shepherd’s pie recipe is a great option for a Meat-Free-Monday if you feel like you’re lost for options. We as vegans don’t just eat salad as is the common misconception. When you follow this vegan lentil cottage pie recipe, you’ll see how versatile they can really be and how well they can absorb flavour. I can assure you, you will not miss the meat and your children or guests will also agree. This went down a treat, I actually cooked this because my girl’s parents were making Shepherd’s pie and her mum asked me what I wanted to eat. So I decided instead of eating mash and salad let me actually improvise a recipe knowing what I can do with lentils. 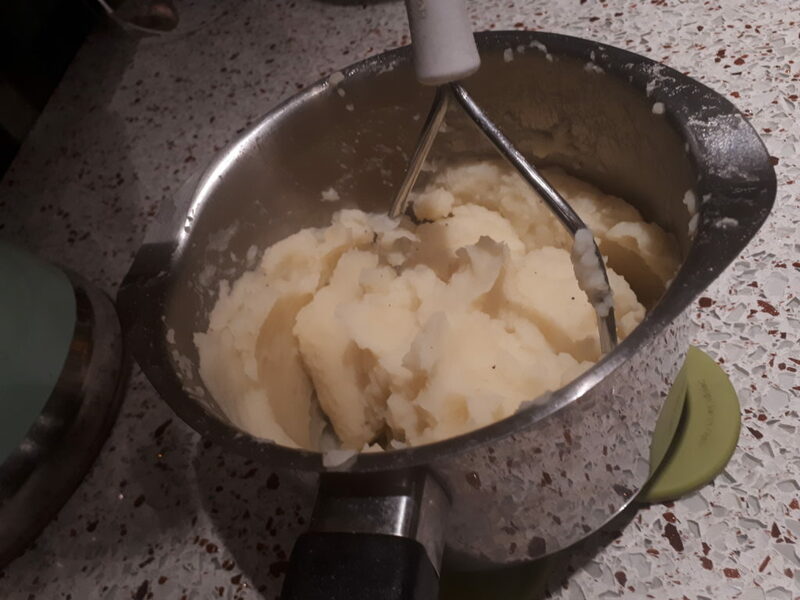 I then soaked some lentils with some herbs and asked for a batch of mash potatoes, and whipped up this bad boy. Presentation isn’t amazing, but the meal was. So I was eating at the dinner table and my girl preferred my version B). 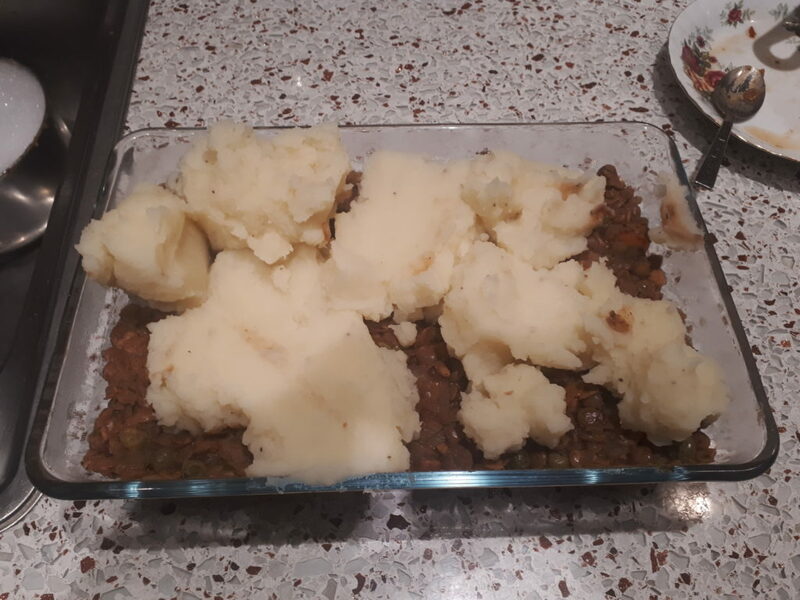 Veganising It’s vegan shepherd’s pie recipe 1, regular shepherd’s pie 0. © Copyright 2019 Veganising It. All Rights Reserved. Blossom Recipe by Blossom Themes. Powered by WordPress .